The FA Cup semi final between Crystal Palace and Watford may not seem like an obvious fixture for a feature on a non league website, especially when you consider that neither side has been beaten by non league opposition for about 40 years. 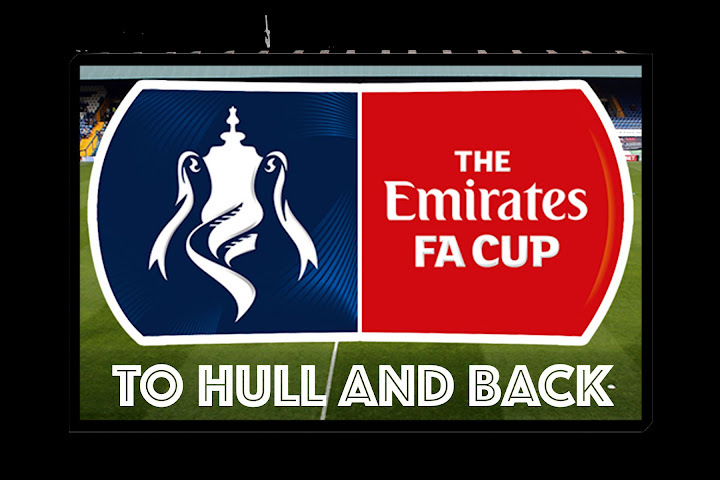 But, both sides have an FA Cup history shaped by non league, as well as having former non-league players in their ranks (Troy Deeney and Ikechi Anya at Watford and Dwight Gayle and Kwesi Appiah at Palace, who have also taken a number of players out of non league in recent years). Nevertheless, while both sides have been regulars in the top two tiers for more than thirty years and suffered some losses to lower league sides they’ve not been troubled by non league sides in that time. 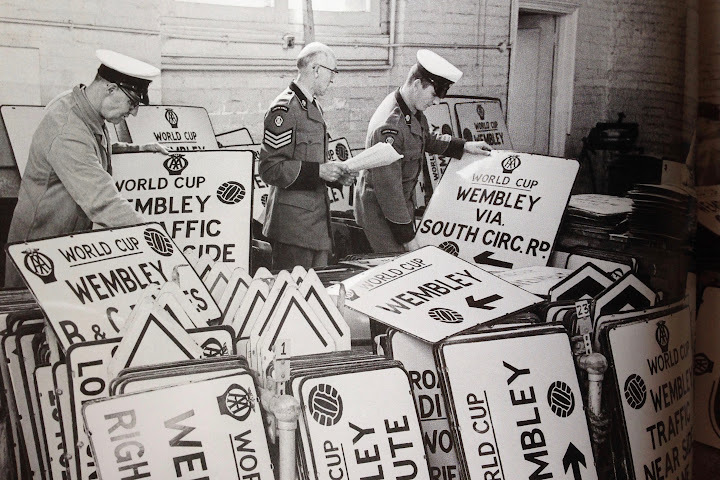 You have to go back to the mid seventies to find the last time Watford got upset and the sixties for Palace. But there is some interest in the 30 years before that and more when both sides were non league powerhouses in the Southern League. Those days are undoubtedly a contrast to the last 40 years where between them, Palace and Watford have played in seven FA Cup semi finals. And, having done it again this year, both teams have high hopes of getting to their second final. Fans will happily bet on them winning the FA Cup with eminently beatable potential opposition in West Ham, Everton or a misfiring Manchester United. In the olden days both of these sides were big guns in what was a very strong Southern League before they were also both granted access to the newly formed Division 3 South in 1920. Prior to gaining league status, Watford had got to the 2nd Round a few times but Palace were the real upsetters; getting to the 4th Round and beating several league sides in the propers, something the Hornets never managed as a non league side. 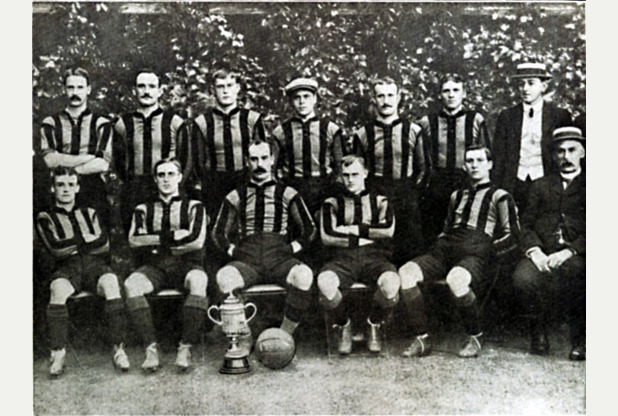 In 1906/07, Southern league Crystal Palace were embarking on only their second run beyond the qualifying rounds. They had beaten Rotherham County 2-0 in qualifying and from the velvet bag on 1st Round draw day they received terrifyingly exciting news. Crystal Palace (Southern League) .v. 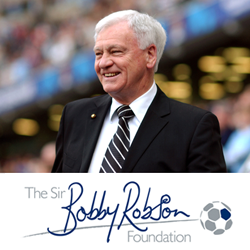 Newcastle United (League Division One). For context, the Magpies were 2nd in the top flight, indeed they were 1907 Champions-elect, and had been FA Cup runners up in the two previous seasons. To make matters worse, the non league side were drawn away and had to travel to St James’ Park where Newcastle had not lost in 14 months. Oh, yeah, Palace were also 2nd bottom of the Southern League and Newcastle’s line up had ten internationals in their side. What followed is best read on the Giant Killers website but, in précis, Palace won 1-0 thanks to a goal from Horace Astley and held their own during a game in which both sides had a goal disallowed. The Eagles players immediately left St James’ park to get the late train back to London as they were unable to afford an overnight stay. They arrived back in London at midnight where they were mobbed by hundreds of fans who’d gathered to usher in one of the biggest cupsets in the relatively early history of the FA Cup. Something you don’t see anymore, unfortunately, was the gathered masses being serenaded by the Upper Norwood Temperence Prize Band, who had turned up to play ‘Glad All Over’ for the returning heroes. That last bit isn’t entirely true, ‘Glad All Over’ was written 56 years later, but you get the picture. Two years later, Palace were at it again. Their opponent was none the less impressive than Newcastle, though the Wolves side they beat 4-2 at home after a 2-2 draw at Molineux was neither the side they would become in 30 years time, nor the side who had won the FA Cup the previous year. While still a big club, this particular success is slightly tempered by the fact that the gap between the Second Division, the lowest tier of the football league at the time, and the Southern League was just one tier and the quality difference between second and third tier wasn’t big. The third and fourth times Palace managed league scalps they were in consecutive rounds and, in Round 2, their opponent was another former winner down on their luck. In Round 1, however, Palace easily beat Glossop North End 2-0 at home. These days any shock involving the two sides would be entirely the other way around but, at the time, Glossop were a 2nd Division side and had been in the top league at the turn of the century. In the 2nd Round the South Londoners were drawn against League 2’s Bury. Ten years previously Bury had beaten Derby County 6-0 in the FA Cup final, a scoreline that remains the biggest winning margin in any final. Palace again came up with a routine 2-0 victory against the league side but were brought down to earth in the next round, losing 5-0 away at the mighty Aston Villa. After the watershed of joining the league in 1920, both Watford and Palace fell victims to Southern League opposition but only as bottom tier league sides against teams they had quite recently played in the same division, so rarely was it a huge embarrassment. But the trend continued after they’d both become established league sides. In the 1930s Palace lost to Southern League opposition Bath, Margate and Yeovil while Watford suffered the same fate against a then Southern League Ipswich Town who would soon be league opponents. However, it was the 1950s that proved to be a nadir for both the Eagles and the Hornets. In a four year period, between them, Palace and Watford managed to lose to a non league side in the FA Cup on six occasions and this time it wasn’t just the Southern League that got them. In 1952 both Palace and Watford were drawn against Athenian League sides, Finchley and Walthamstow Avenue respectively. In the original game Finchley had been beating Palace 3-1 when thick fog descended on the ground and called an abrupt halt to an upset. At the same time Watford were also getting a scare from with a 1-1 away draw at the Avenue. 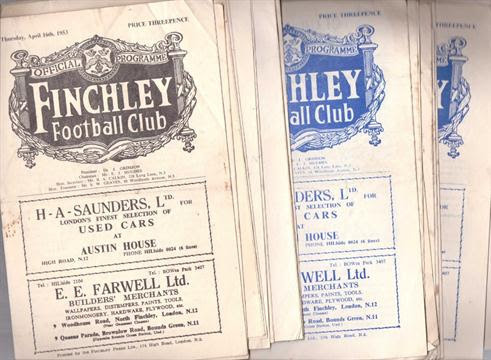 During the proceeding midweek, Finchley and Palace tried again and, as is often not the way in these situations, Finchley repeated the feat 3-1 and easily dispensed with their league opposition. Watford, who were now at home in a replay, suffered a 2-1 defeat to the Avenue making a satisfying double for the Athenian League. For the second season in succession Palace were humbled by non league opposition but this time it was at the first hurdle and was against a side who had only really entered the public’s consciousness the previous year when they got to the 2nd Round, losing narrowly to Wrexham. Palace were now on a run where they’d won only one of their previous ten FA Cup games and that became eleven when they lost 1-0 in Norfolk to the Eastern Counties League side in front of a crowd of 8,944. This is still Yarmouth’s record attendance and was only made possible after a makeshift terrace was built from fish boxes acquired from the local port. After comfortably overcoming fellowing Division 3 side Swindon Town 2-0 in Round 1 Palace looked set to end their crippling run of losses to non league foes. But they hadn’t reckoned with the Northern League. For the third year in a row Palace lost to a non league side in the FA Cup and this was arguably the worst defeat of the lot. Palace should have got the hint from Round 1 that the Bishop Auckland would be no pushovers when they beat Southern League behemoths Kettering Town 5-1. Everything was in order in a first half that Palace led twice and went in at the break 2-1 up. The second half was entirely one sided and Jack Major scored a hatrick as Auckland left South London 4-2 winners. Auckland drew 2nd Division Ipswich Town in Round 3, beating them 3-0 in a replay that saw Bishop become the first Northern League side to make the FA Cup 4th Round. This piece has largely been all about Palace’s success as and failings against non league in the FA Cup so it’s appropriate that Watford have the last word. Though, to be honest, this paragraph is all about Bedford Town. Throughout the 50s and 60s Bedford were synonymous with giant-killing. In an 11 year period they beat league sides left right and centre: Norwich City, Newcastle United, Exeter City, Brighton & Hove Albion and Oxford. It all started in 1955 with a 3-2 victory over Watford, Polish striker Felix Staroscik scoring twice – he also owned an electrical shop in Bedford. 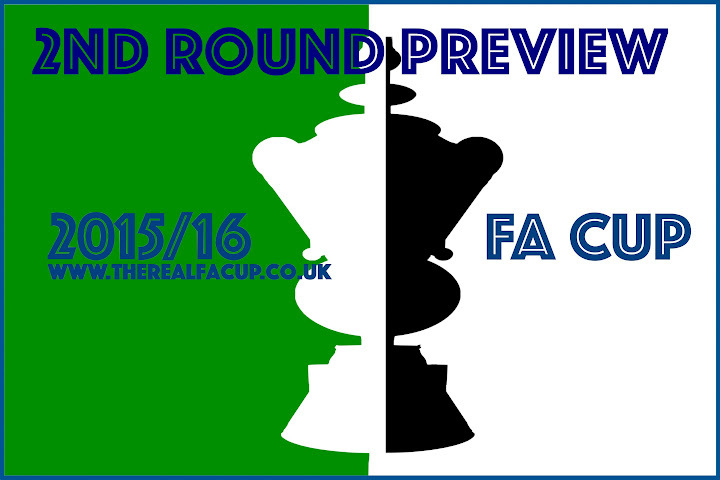 Both Watford and Palace have an FA Cup history shaped partly by non league. Both went on to reach semi finals and finals, both had to overcome non league sides on the way but have both yet to taste overall victory and get their hands on the big old jug. Non league sides still dream of Wembley but that now seems a small hope, the target is still getting to the propers. But while Leicester keep smaller clubs dreaming that they can still break down barriers in the league, Watford, Crystal Palace and indeed Wigan equally show that smaller clubs can still upset the odds. Watford have a strong team and fight for each other. Real team spirit.